Karim's. 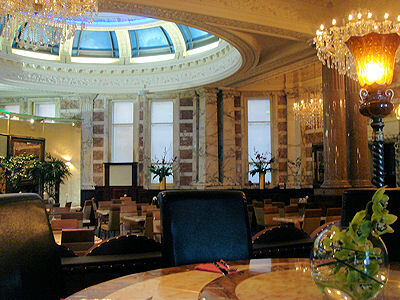 the truly elegant restaurant in the Spring Gardens building vacated by Establishment, is just around the corner from the Royal Exchange Theatre and next to the fashionable King Street designer stores. The fully non-alcoholic restaurant endeavour to provide the highest quality food in the most sensually vibrant atmosphere. With customer service that is second to none, you will enjoy the Karim’s experience whether it’s a family dinner, a business meal, a pre-theatre bite or just an evening out with friends. Providing some of the highest quality dining in Manchester in a very inclusive environment, their master chefs effortlessly combine established curry classics with the finest of modern cuisine. The highly knowledgeable service staff are more than happy to help so that each dish you choose will be the perfect balance of flavours and textures to ensure you have an unforgettable meal. 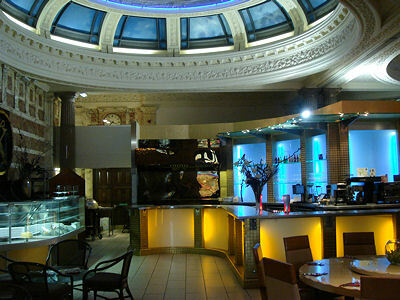 As a successful family run business, established for over 10 years in Middleton, Karim's opened their exquisite city centre Manchester restaurant in November 2007, providing the best food from India, Pakistan and China. With a lunchtime all-you-can-eat buffet complimenting the a la carte menu, this fine Asian restaurant is popular with professionals from the local business district, together with hungry shoppers taking a break from the ultra-trendy King Street designer stores across the road. All Karim's meals are created using the finest Halal ingredients, also meeting the requirements to be classed as Kosher. There's many vegetarian dishes and, even better, all the food is cooked in low cholesterol oil which means you don’t have to think about the calories! Choose from the Indian menu, sample one of the four Chinese alternatives or opt for a dish from The Gill, cooked freshly for you on a chargrill by expert chefs and marinated in Karim's special blend of herbs, spices and yogurt. Karim's excellent signature dishes can be found on the Asian Fusion menu with each dish being created by Mr Karim himself and the head chef from Lahore in Pakistan. Together they combine Indian flavours with an Eastern twist . Despite being the first fully non-alcoholic restaurant in Manchester city centre, there's plenty of alternatives to choose from, including non-alcoholic Cobra Beer and non-alcoholic wines. For those that prefer the healthier option, there's a range of freshly squeezed fruit juices and for the traditionalists there's a range of flavoured Lassi’s made to order. 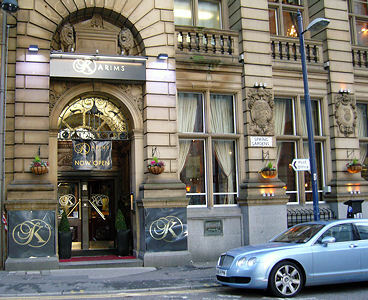 Karim's s a welcome addition to Manchester's restaurant scene and successfully delivers in this most impressive of dining arenas. 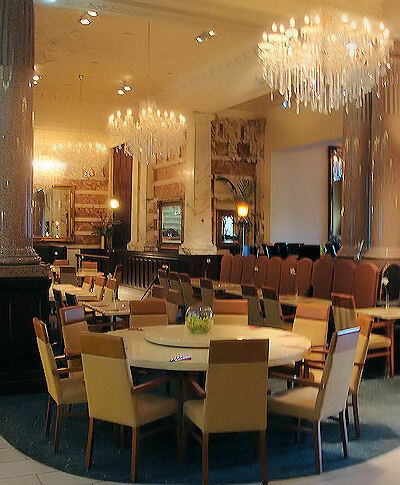 The building is incredible, large chandeliers, huge pillars and a raised seating area offering views through the grand windows of some of the city's best buildings along King Street. The grandeur is almost reminiscent of the days of the Raj in some of the sub-continent's most exclusive hotels. The food is also impressive. 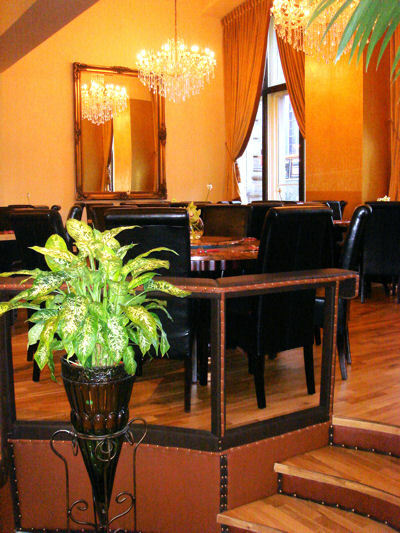 The dishes are excellent value and the prices certainly don't reflect the surroundings yet at the same time this is not a down market restaurant and the clientele is largely made up of professionals from the nearby offices together with smartly dressed Asian families.